100% Arabica, single origin, Fairtrade, Organic, fresh ground coffee in convenient coffee bags. 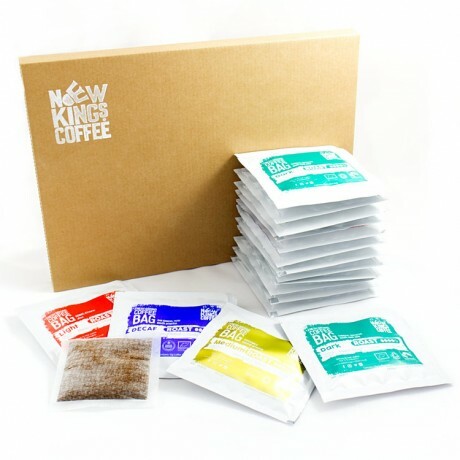 Coffee bags are a quick, easy and mess-free way to enjoy high quality ground coffee. 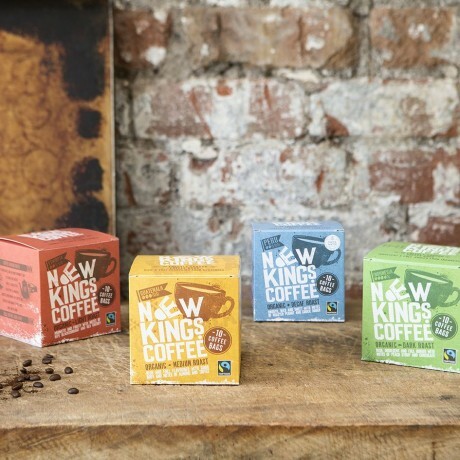 3 Boxes: Dark Roast, Medium Roast & Light Roast. Each box contains 10 bags. Use the option available to choose your pack type. Make the perfect cup of coffee as easily as making a cup of tea. 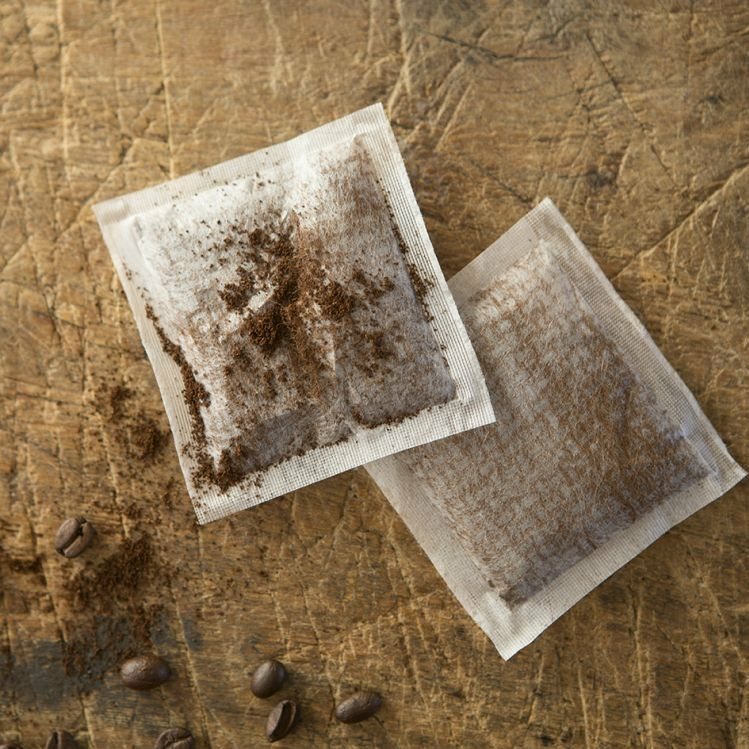 How to use: Add the coffee bag to a cup and add hot water. Infuse for a few minutes in order to extract the great taste and aromas. Then stir, squeeze and remove the coffee bag. Relax and enjoy! The coffee bags are made from Bioweb, which is made from a renewable and sustainable source of corn starch. They are biodegradable so you can simply throw the bag in your compost bin after use. 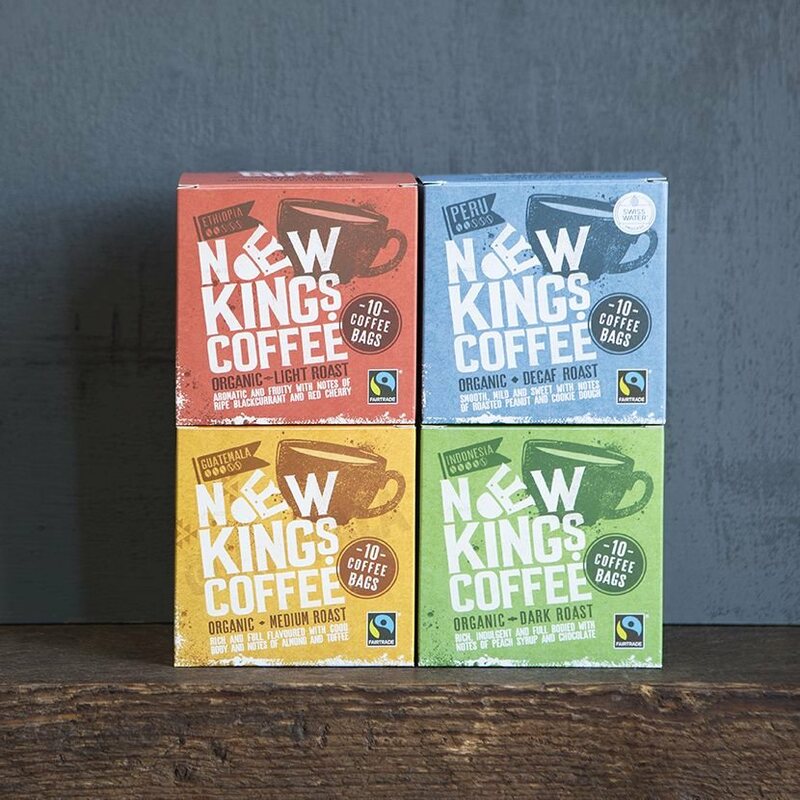 All of New Kings Coffee's coffees are single origin, Fairtrade and Organic, as they want to ensure they provide only the very best, whilst supporting the people and environment in the coffee growing regions. 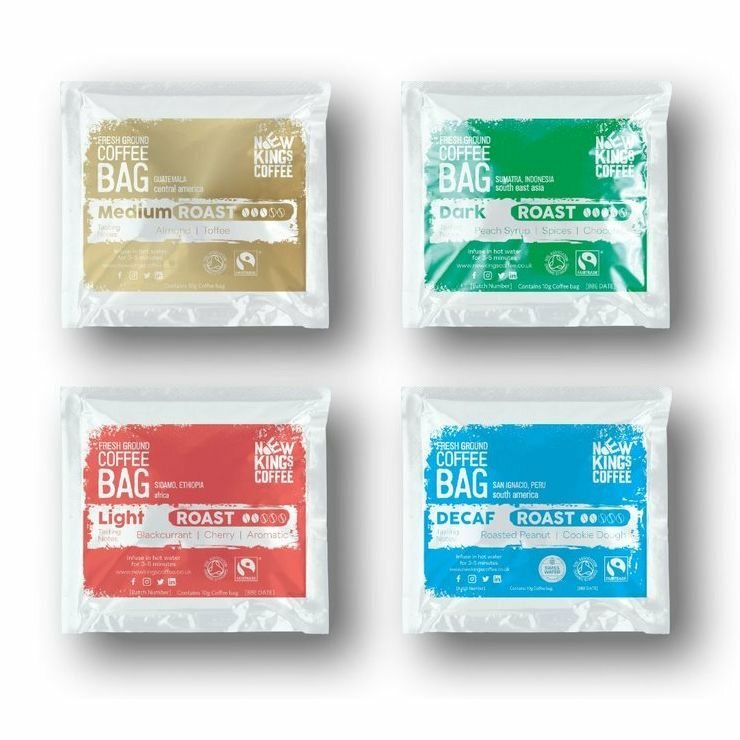 The convenience of great coffee in a handy bag, what could be better? I decided to give this new brand a go and had a great experience! Seedy delivery, great packaging and had a nice variety of different coffee bags with varying intensity. 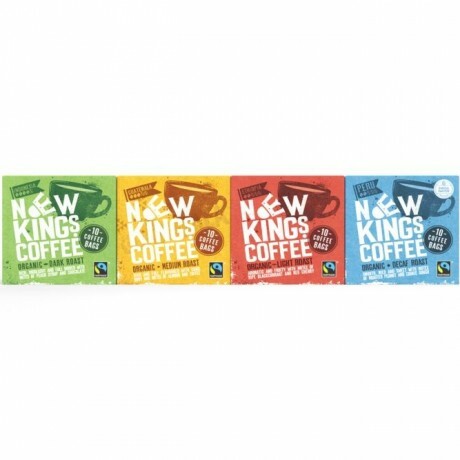 I now carry New Kings coffee bags in my office bag so that I dont have to drink the boring office coffee. I never thought I would be able to carry my coffee so easily. The flavours are just right .. deep and aromatic. Highly recommended !